The UK’s most popular dance theatre company, New Adventures, is returning to Newcastle Theatre Royal this Spring with one of its biggest hit shows – the gripping and explosive The Car Man. Prepare to be electrified 28 April – 9 May. Directed and choreographed by probably the ‘hottest’ choreographer in the world right now, Matthew Bourne, the show is loosely based on Bizet’s popular opera and has one of the most exciting and instantly recognisable scores in New Adventures’ repertoire, featuring Schedrin’s powerful Carmen Suite and new arrangements of Bizet's legendary score. The Car Man was first seen in 2000, winning the Evening Standard Award for ‘Musical Event of the Year’ and the Los Angeles Drama Critics Award for ‘Best Choreography.’ The show follows the phenomenal world-wide success of Swan Lake, Sleeping Beauty, Nutcracker!, Cinderellaand Edward Scissorhands; from the UK’s most popular dance theatre company. This revival marks the first time the production has been staged in eight years. The familiar 19thCentury Spanish cigarette factory becomes a greasy garage-diner in 1960’s America where the dreams and passions of a small-town are shattered by the arrival of a handsome stranger. Fuelled by heat and desire, the inhabitants are driven into an unstoppable spiral of greed, lust, betrayal and revenge. Inspired by classic European and American Film Noir cinema and the Pulp Fiction novels of James M. Cain and Raymond Chandler; Lez Brotherston’s epic design, Chris Davey’s evocative lighting and Matthew Bourne’s vivid storytelling, create a dangerous and uncompromising vision of small-town America. 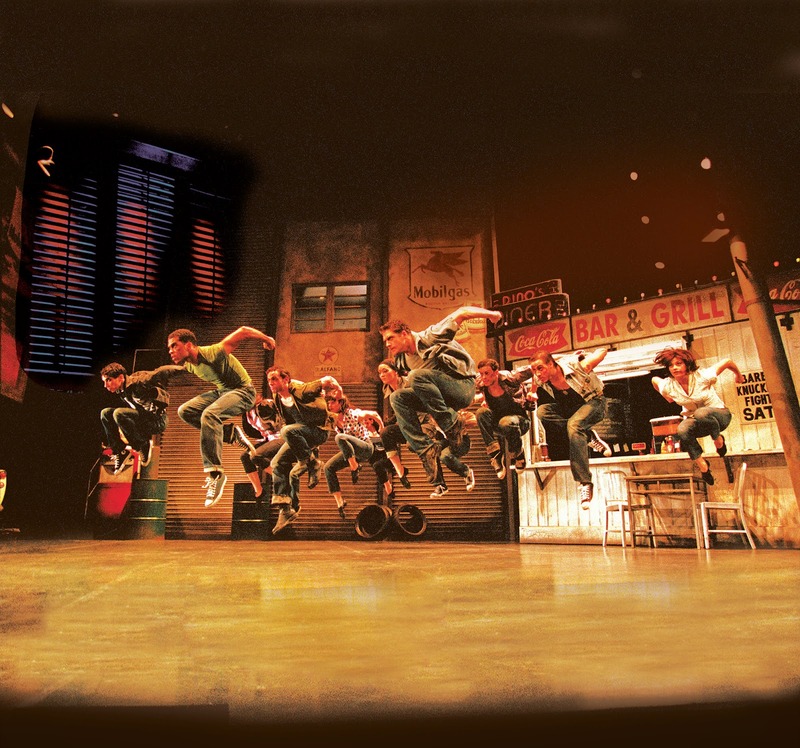 The leading characters created by Matthew Bourne for The Car Man are among his most challenging both physically and emotionally. For this revival a new generation of New Adventures’ stars will be making their debuts in the iconic roles. The title role of ‘Luca, The Car Man’, will be played by Jonathan Ollivier and Chris Trenfield; both recently acclaimed as ‘The Swan’ in Bourne’s Swan Lake. The role of ‘Lana’ will be danced by Ashley Shaw (currently enjoying great success as ‘Kim’ in Edward Scissorhands) and Zizi Strallen, who joins us direct from the West End production of Cats. Zizi was last seen with New Adventures in Cinderellain 2011. ‘Rita’, Lana’s older sister, will be performed by Katy Lowenhoff (also currently starring as ‘Kim’ in Edward Scissorhands) and Kate Lyons (Bourne’s Sleeping Beauty, Early Adventures). The demanding role of ‘Angelo’ will be shared by rising company star, Liam Mower, and one of New Adventures most popular leading men, Dominic North. Dominic and Liam have both been receiving rave reviews for their moving performances as the title character in New Adventures’ Edward Scissorhands on its current UK Tour. The Car Man fans will be delighted to hear that the original ’Car Man’, Alan Vincent will be returning to the company to play Lana’s violent husband, ‘Dino’. Completing a stellar cast as the inhabitants of the fateful small town of Harmony USA are Cordelia Braithwaite, Tom Clark, Danny Collins, Pia Driver, Freya Field, Glenn Graham, Tim Hodges, Katrina Lyndon, Andrew Monaghan, Leon Moran, Danny Reubens, Katie Webb, Layton Williams and Dan Wright. 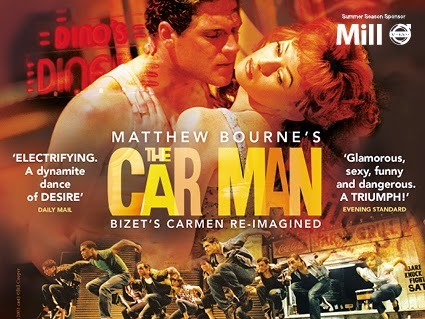 The Car Man is directed and choreographed by Matthew Bourne, with music by Terry Davies & Rodion Shchedrin’s Carmen Suite (after Bizet’s Carmen); designs by Lez Brotherston; lighting by Chris Davey and sound by Paul Groothius. The project is supported by Arts Council England through the Grants for the Arts funding programme.